Last weekend was my birthday and I got a chance to go out and see Maleficent. I liked it. I thought Angelina Jolie did a great job (if maybe a little hammy) and there were some great moments with some good lines. I thought the denouement was both welcome and interesting. I know people had some issues with the changes to story and character, but honestly if you want to see "Sleeping Beauty" then go watch Sleeping Beauty. What I have here is a cross between both her portrayals. The idea that reality lies somewhere in between. I think she is rather obviously a Faerie Tradition witch. 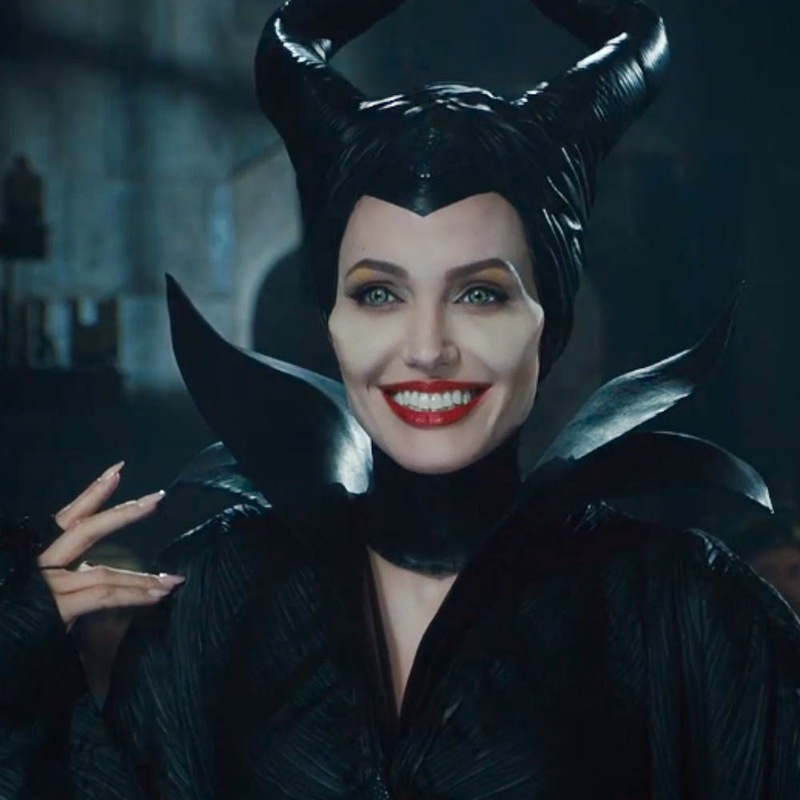 Maleficent, either version, is still one of my favorite characters. Familiar: Raven (+2 to Death related saves) "Diaval"
Like all Faerie Witches Maleficent takes extra damage from items made of cold iron. The ritual, Hell Hath No Fury, is a rare ritual in that only one witch is required to cast it, but the situations in which it can be cast are also rare. The witch lay a devastating curse on an individual who has someone personally harmed the witch in some way. The harm isn't as simple as an attack, the offense must be a great one such as murdering the witch's family or lover, breaking the witch's heart with the promise of true love or spurning the affections of the witch for another. Typically only one such person in the witch's lifetime would fit the requirements. The witch then takes all her anger, rage and sorrow and pours it into this curse. The witch may affect the person responsible or a member of that person's family. The choice of victim and the curse is directly tied to insult done to the witch herself. Once the curse is laid then it can only be broken under very specific circumstances either dictated by the witch or somehow related to original hurt to the witch. This curse can not be broken via a remove curse, wish, dispel magic or similar enchantments. The witch herself can not break the curse either. Examples would be Maleficent's curse on Aurora or Maria Owens curse on her own family in Practical Magic. The new witch ritual "Hell Hath No Fury" is considered Open for the terms of the OGL. "Hell Hath No Fury" Witch Ritual, Copyright 2014 Timothy S. Brannan. This is a fantastic write-up. I love her, though I've not made it out to see the movie yet. Has "Hell Hath No Fury" been added to the book? Just wondering. No. It's not actually. I will need to add it if I ever do an update.